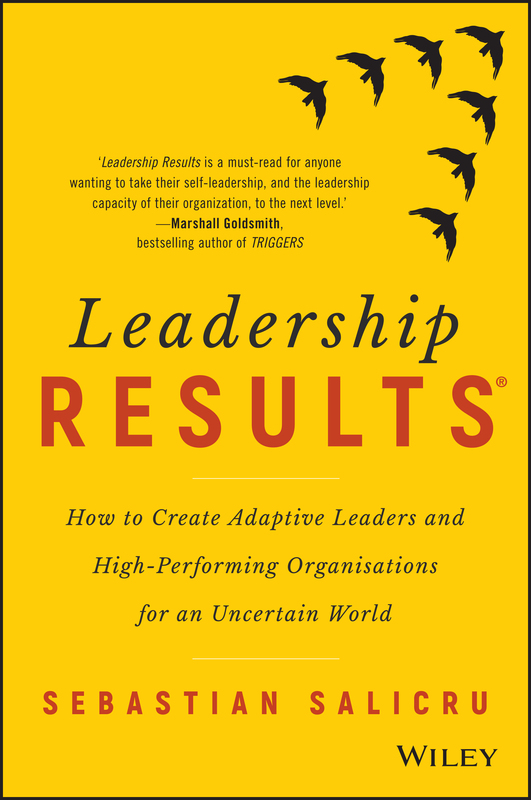 By @SimonCocking review of Leadership Results: How to Create Adaptive Leaders and High-Performing Organisations for an Uncertain World by Sebastian Salicru. Available from Wiley here. Leadership Results explores the fall of traditional leadership thinking and the struggling multibillion dollar leadership development industry that is failing to deliver results, and explains the mindset, skills, ways of being and methods that will get results in the new context and evolving paradigm. The Leadership Results model is practical and predictive, providing a way forward for companies seeking to build sustainable leadership capacity, develop individual leaders, boost employee engagement and deliver breakthrough results through shared and collective leadership. Actionable steps guide you through the process of evolving leadership culture to see increased productivity, growth opportunities and ensured profitability borne on a culture of trust, collaboration, fairness and a commitment to innovation and real prosperity. Expert analysis debunks pervasive myths and assumptions surrounding leadership, employee engagement, and talent development, while demystifying the role technology plays in innovation and progress. Leadership remains super important in all organisations, especially when it is good, and even more importantly when it is bad. When done badly staff become demotivated, destructive and leave. This is a thorough analysis of what it means to lead well, and how to deliver effective leadership. There are a lot of good case studies to offer insights and hopefully even inspiration. It’s interesting too with the slightly Aussie perspective as it brings in anecdotes about the Australian submarine building program, which would not be a business example that has popped up in any of the other business books we have reviewed recently. It might be interesting to also have considered how you lead when more and more of your workforce are working remotely or are ‘just’ contract workers for you. How do you inspire and motivate these disparate groups, or perhaps you don’t need to because self employed people are more motivated? Perhaps? It’s hard to know for sure, but as the workforce undergoes massive, rapid change, it would be interesting to see how one leads effectively in such changing times. Maybe that will be included in the next edition?